Soul By Ludacris SL300 Headphones Now Shipping, How Low Can They Go? The day has finally come. I bet Ludacris is stoked that his $300 pair of headphones that may or may not directly compete with Dr. Dre's Studio headphones, are finally shipping after they were announced at CES 2011. 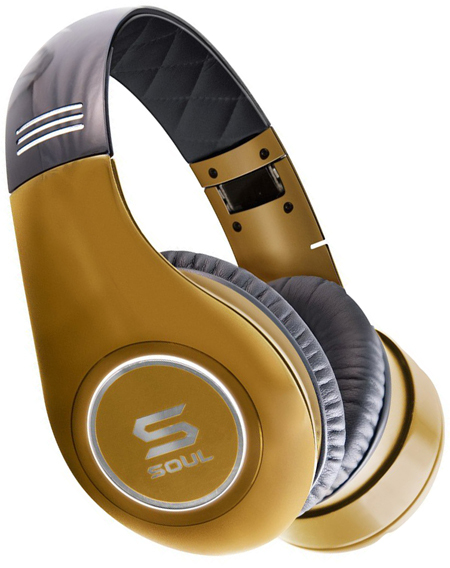 These golden over the ear, powered Noise-Cancelling Soul by Ludacris SL300 headphones are the flagship model in the Soul by Ludacris lineup of headphones and in-ears. The SL300 headphones are said to have superior Noise-Cancellation technology, comfy ear cushions and amplified sound for studio quality thumping deep bass, clear mids and highs. Tangle-free cable and a sleek foldable design are amongst other things the SL300 headphones boast. If gold isn't your thing, the SL300 also come in a black and white color scheme for that panda look.